What are some of the best spring produce? And what benefits do they offer? Check out 10 spring vegetables and spring fruits that you can harvest and enjoy after the winter thaw. Spring is one of my favorite seasons. I love seeing plants budding after a long winter, bringing reminders of renewal and fresh growth. The grass becomes greener, and birdsong returns. Spring is also a great time to enjoy the “trailblazing” fruits and vegetables that appear first in our gardens and farms. 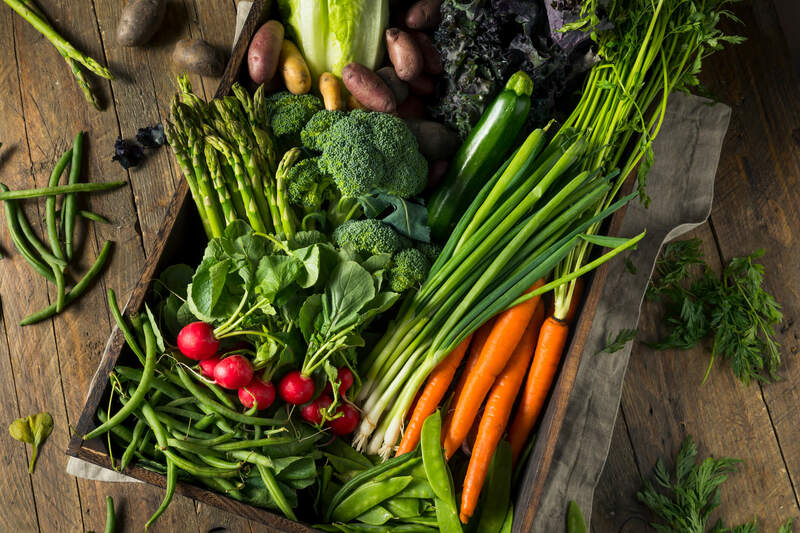 Spring vegetables and fruits are colorful, delicious, and packed with healthy nutrients to refresh your mind and body during this season of change. Which fruits and veggies are at their prime in spring — and what do they offer? And what are the benefits of eating seasonally in the spring? Enjoying vegetables and fruits during their peak season has many benefits. Has more nutrients because it often doesn’t have to be transported as far (produce begins losing nutrients as soon as it’s harvested). Is better for the environment because it travels shorter distances to reach you and often is sprayed with fewer pesticides. Supports local businesses and farmers because you can find locally grown seasonal produce at farmers markets, CSAs, and even your grocery store. Naturally adds variety to your diet by adjusting your grocery list seasonally. Locally grown, fresh produce tastes better when it’s grown in its ideal season. Saves you money because you’re eating produce at its peak availability. 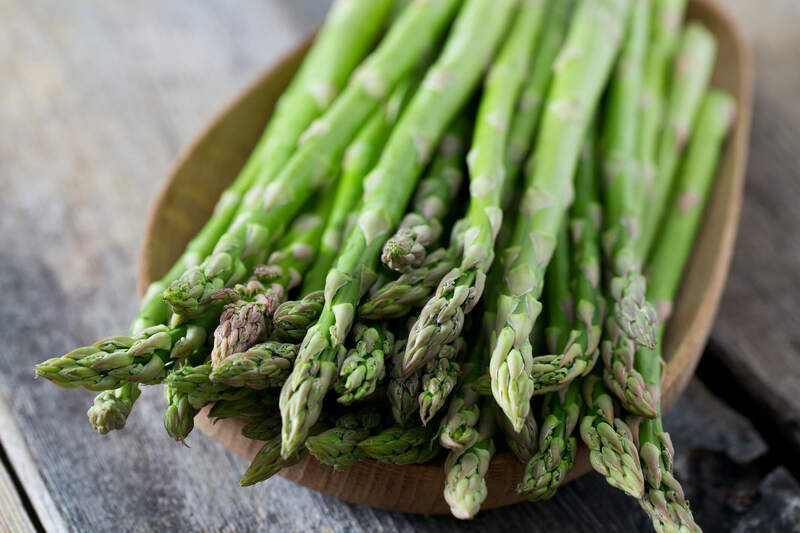 The most common type of asparagus is green. White asparagus is regular asparagus grown in the absence of sunlight so that no chlorophyll develops. And purple asparagus is fun, but spoiler alert: It turns green when it’s cooked. One-half cup of cooked asparagus provides almost two-thirds of your daily vitamin K, which is necessary for blood clotting. It also supplies one-third of your folate requirements, essential for a healthy pregnancy. Asparagus is a good source of antioxidant vitamins A and C, as well as various B vitamins that are good for cell metabolism. Additionally, it’s a good source of dietary fiber, providing 2 grams per half cup. It’s also a particularly rich source of a type of fiber, inulin, that is a fabulous prebiotic that contributes to gut health. And to top it off, studies have shown that asparagus can help fight cancer. If you’ve ever planted asparagus in your garden, chances are it’s going to pop up this spring. That’s part of the beauty of this hardy, delicious, and nutritious perennial vegetable! Look for asparagus with tight, compact leaves and fresh-cut stem ends. Asparagus is delicious roasted, steamed, in orzo salad, or in a breakfast scramble. It can have a pretty tough stalk, so be sure to peel or chop it, and to cook it adequately. Artichokes aren’t as common in our homes as say, bananas and apples, so this spring could be a great time to get to know this unique food. They’re a species of thistle that is part of the sunflower family. A 2004 study by the USDA found that artichokes are among the vegetables richest in antioxidants. 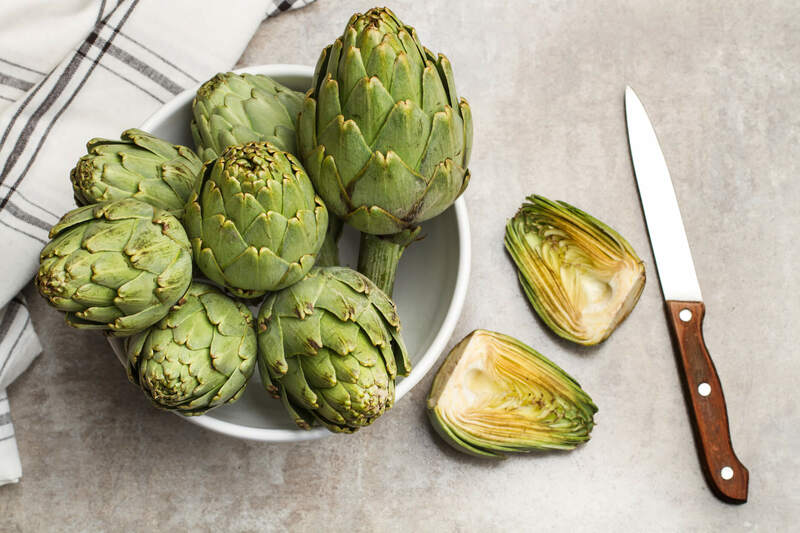 One artichoke also offers 3.5 grams of protein and 10 grams of fiber, which are great for satiety (a fancy word for filling you up) — as well as cardiovascular and digestive health. Artichokes are also a good source of vitamin K, folate, magnesium, and vitamin C. They contain an antioxidant called luteolin, which inhibits cholesterol formation and helps to lower “bad” LDL cholesterol. You can find artichokes raw, as well as pre-cooked and canned for easy use. I love adding them to homemade pizzas or making spinach artichoke dip. When selecting whole artichokes, look for ones with tightly packed leaves. There are two edible parts to artichokes: the fleshy hearts and the bottoms of the leaves. Make artichoke eating into a social event by steaming or boiling one artichoke per guest and providing bowls with dipping sauces and empty bowls for the used leaves. It’s kind of like fondue parties — without all the cheese and meat. Look for firm, brightly colored artichokes, and store them in the fridge for up to five days. Did you know that an artichoke is a flower bud that has not yet bloomed? If you let their buds open and flower, artichokes produce bluish-purple flowers that attract pollinators. Broccoli does indeed look like a small happy tree. And its reputation as a remarkably healthful food is well deserved. It’s packed with fiber and antioxidants. Just one cup chopped has as much vitamin C as an orange, meeting your minimum daily needs. Broccoli is also a great source of vitamin A, which is good for your eyes, skin, and immune system. 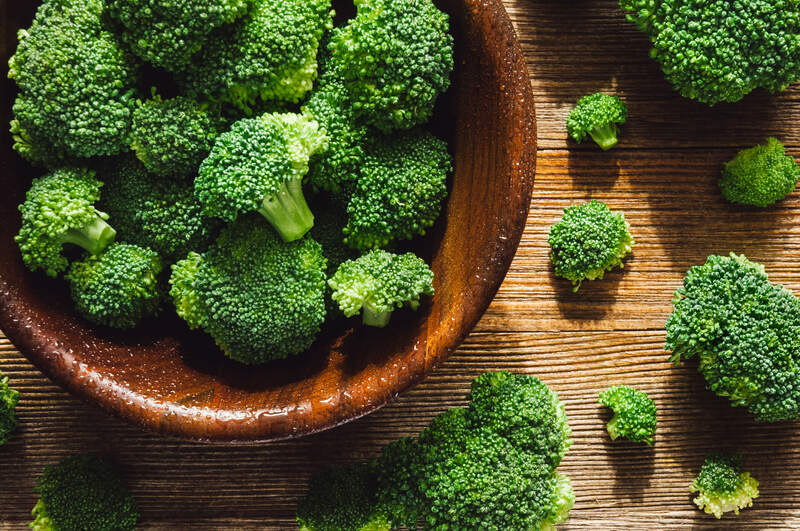 Broccoli contains a compound that turns into the antioxidant sulforaphane, which might have applications in blood sugar, heart health, and preventing chronic disease. It also contains the anti-inflammatory compound kaempferol, which has powerful preventive properties when it comes to type 2 diabetes and heart disease. There’s also a lot of evidence in support of eating cruciferous veggies, including broccoli, for cancer prevention. Broccoli is good raw, steamed, roasted, or added to soups and casseroles. Look for firm, bright green broccoli. Yellowing indicates an older bunch. When you get it home, you may want to keep it in an open bag in your fridge for up to a week. Avoid washing it until just before using. You can also cut broccoli into florets, blanch it, and store in the freezer. Carrots are rich in carotenoid pigments that both give them their color and provide many health-giving benefits. Did you know that most carrots were purple until the 17th century? They’re still available in a variety of colors. Though the ones we’re most familiar with today are, of course, bright orange. 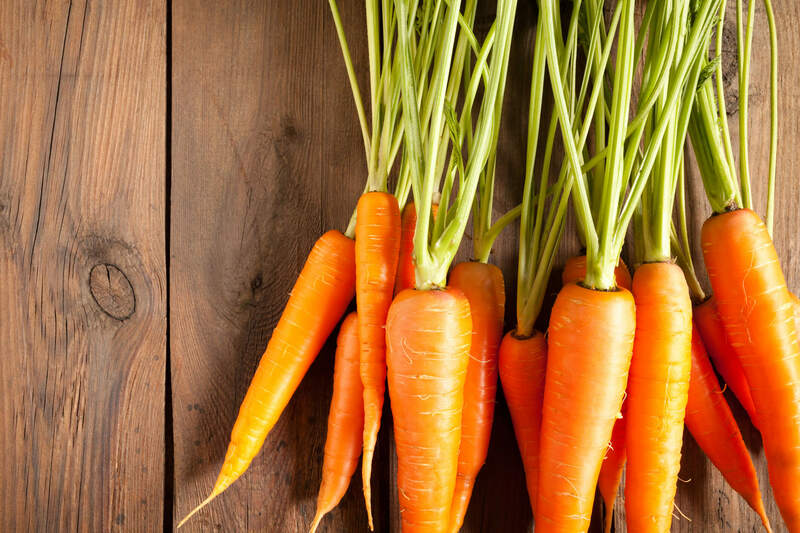 One large carrot contains 240% of your daily vitamin A needs, in the form of beta-carotene. They’re also full of fiber and antioxidants that can help stave off diseases, such as beta-carotene and lutein for your vision and lycopene for your heart. Diets rich in carotene have been linked to a reduced risk for prostate, breast, stomach, and colon cancers. Enjoy carrots grated and baked into muffins, shredded and mixed into your oatmeal with raisins, or simply crunched on raw. In our family, we often lightly steam small-ish carrots whole and then dip them in hummus or salad dressing along with other veggies. Remove the greens and store the carrots in a bowl of water in the refrigerator to keep them crisp. You can also keep baby carrots this way. The size of golf balls, radishes are a member of the cruciferous vegetable family, along with their distant cousins, kale and broccoli. They have a spicy flavor that you may have strong feelings about. Radishes provide almost one-third of your daily vitamin C needs per cup. They also supply some other important nutrients, including folate, fiber, B vitamins, and potassium. Radishes contain isothiocyanates, which have been studied for cancer prevention. 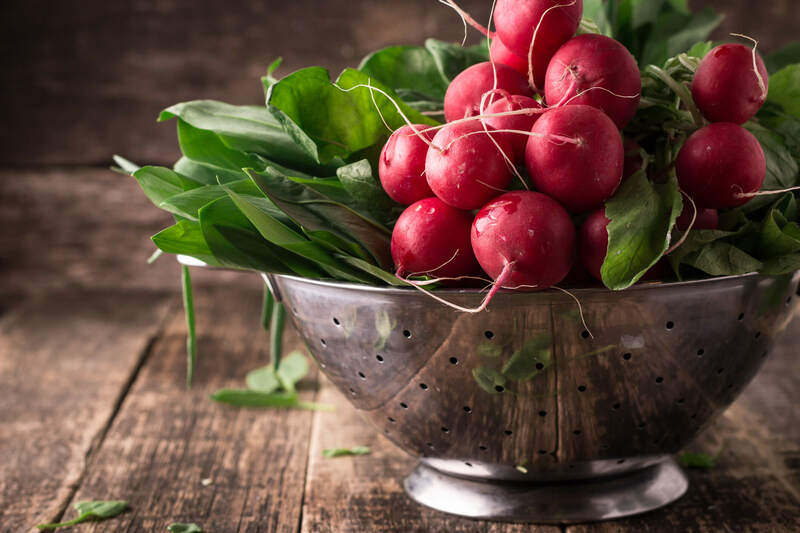 Radishes also boast an antifungal protein called RsAPF2, which has been studied for its applications in treating Candida albicans. Radishes are best known for being sliced thinly on a salad, or perhaps grated in a veggie sandwich. If you love red radishes in the springtime, you may enjoy white daikon radishes in the winter (a different looking variety that is native to Asia). Store radishes in their whole form in a water bath in your refrigerator for a few days. Alternatively, you can cut the tops off and store them (unwashed) in the fridge, in a sealed bag with a wet paper towel for up to one to two weeks. Juicy, red strawberries are a sure sign of the weather starting to warm up. In fact, strawberries are among the first fruits to ripen when spring arrives. One cup of sliced strawberries provides 149% of your daily minimum vitamin C and is also a good source of folate, manganese, potassium, and fiber. Strawberries contain at least 25 anthocyanins, which give them their beautiful color and have been associated with improved heart health. Strawberries are antioxidant-rich, containing more of these health-promoting compounds than many other fruits and vegetables. Berries of all kinds can help regulate blood sugar during meals, possibly due to their polyphenol content. 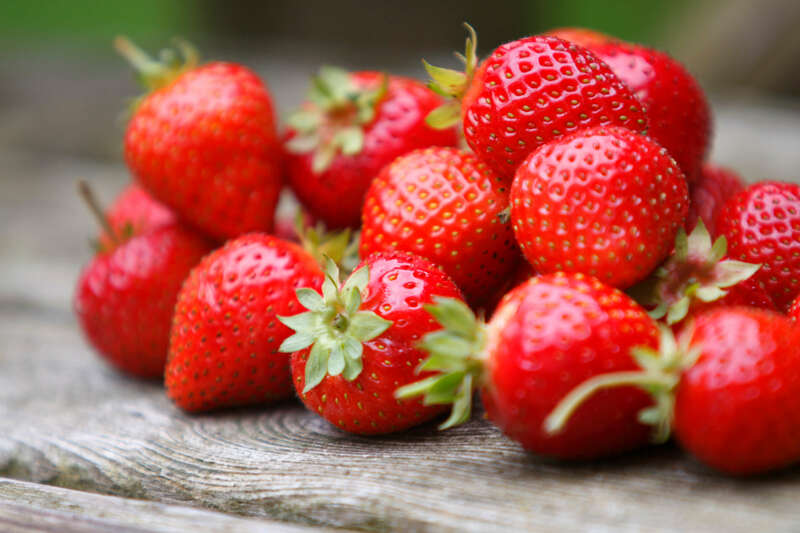 In addition, studies suggest that eating a lot of berries, especially strawberries and raspberries, can help prevent cancer due to their high levels of ellagic acid. Eat them raw, in smoothies, on oatmeal, or make strawberry preserves. Wash and remove strawberry stems right before eating them. Strawberries keep on the counter for a day. Otherwise, store them in the fridge or chop and freeze them for later use. Note: Keep in mind that strawberries are #1 on Environmental Working Group’s “Dirty Dozen” list of the most pesticide-contaminated fruits and vegetables. So they are a very good place to go organic (or better yet, grow them yourself!) if you can. You’ve probably seen protein powders, plant milks, and burgers with peas as a main ingredient. Although these products typically use dried yellow peas, fresh green peas are also an excellent source of protein with almost nine grams per cup. Peas are high in vitamins A, C, K, B6, folate, manganese, phosphorus, magnesium, and iron. Green peas are good for your digestion, too, supplying nine grams of fiber per cup. They also contain compounds called saponins, which may have cancer-fighting properties. 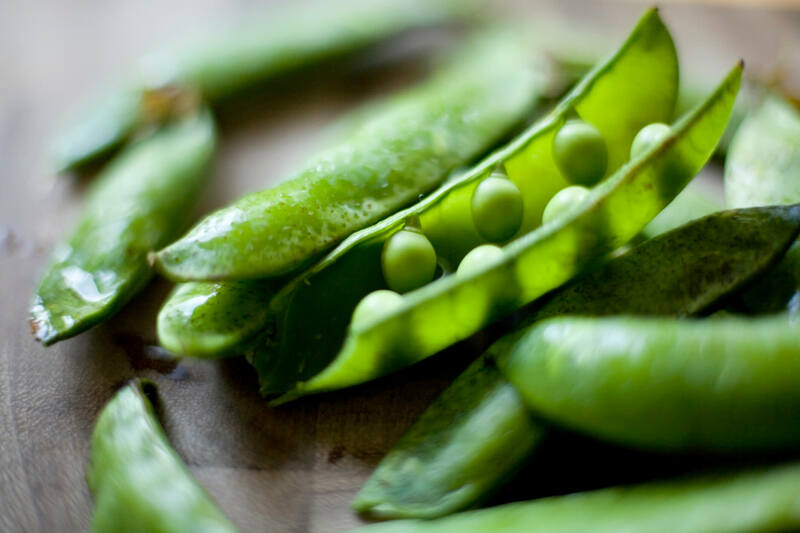 Green peas have a mild taste and are both starchy and sweet. They can be eaten right off the plant. Or enjoy them in stir-fries, noodles, and salads. It’s best to eat peas as soon as possible after purchasing (or picking from your own garden!). Their sugar will start turning to starch after harvesting, reducing their sweetness. Keep peas refrigerated in a plastic bag with holes, ideally in the crisper drawer to retain moisture. Arugula is livening up salad mixes everywhere. Sometimes described as “peppery,” arugula is part of the Brassicaceae family, just like radishes, kale, and cauliflower. When young, its leaves are light green and have a mild flavor, while the darker leaves are a bit older and have more pungency. 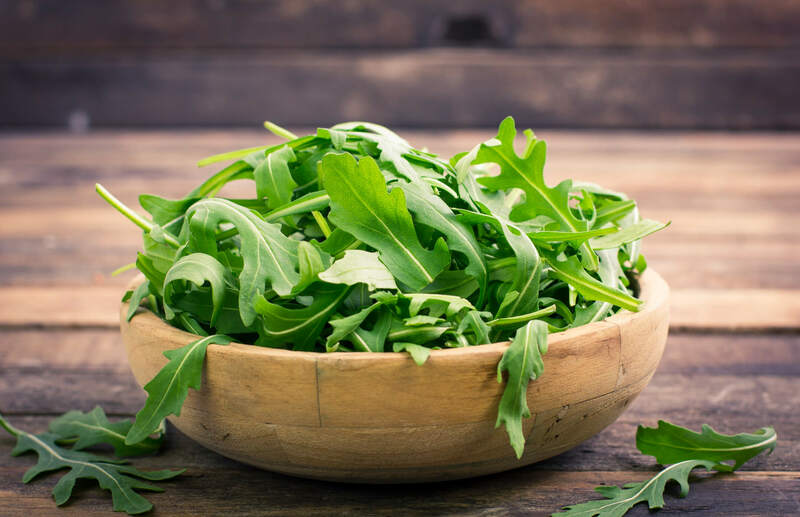 Arugula supplies 14% of your daily recommended minimum for vitamin K, 5% of your vitamin A, and 5% total of your calcium, manganese, and folate — all in just one-half cup. Arugula is delicious raw, but it can also be cooked and eaten wilted, or used as a pizza topping. It’s an amazing alternative to basil when making pesto. Store arugula in a plastic bag with wet paper towels, ideally in the crisper drawer. They keep their best flavor for 3-6 days. Mustard greens are the leaves of the mustard plant. These nutritional powerhouses originated in the Himalayas over 5,000 years ago. Mustard greens are high in compounds called glucosinolates, which have anti-cancer and anti-inflammatory properties. They also contain a lot of important vitamins and minerals. In just one cup of cooked mustard greens, you’ll find over 500% of your recommended daily vitamin K, as well as 175% of your vitamin A and 60% of your vitamin C.
You’ll also find 3 grams of fiber, 25% of your daily folate, 20% of your manganese, and nearly 10% of your potassium and calcium requirements. 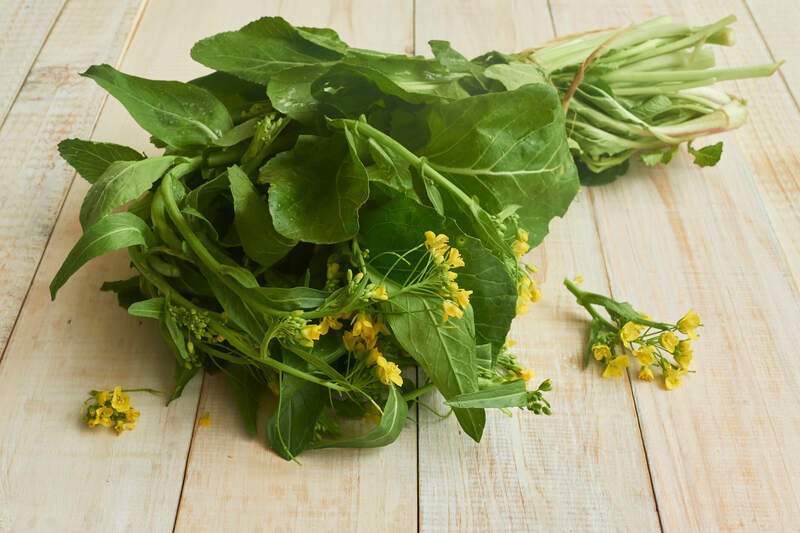 Research shows that cooked mustard greens (especially steamed) bind bile acid in your body, having a cholesterol-lowering effect that could be beneficial for heart health. Mustard greens are often used in salads, soups, and stir-fries and are common ingredients in Southern, Chinese, Japanese, Indian, and African cooking. Store mustard greens in the crisper drawer of your fridge or freeze them in baggies. Don’t wash them until ready to use. If you want a rainbow in the spring, look no further than Swiss chard. It’s often sold in bundles with various colored stalks, like yellow, red, and purple. Swiss chard is part of the goosefoot family (other goosefoot vegetables include spinach and beets). Fun fact: Swiss chard isn’t from Switzerland. It’s actually native to Mediterranean countries. Swiss chard has an impressive nutritional profile. One cup provides over three times the minimum recommended daily amount for vitamin K. It’s also naturally high in nitrates, which have heart benefits, such as lowering blood pressure, improving circulation, and increasing endurance by improving oxygen usage. 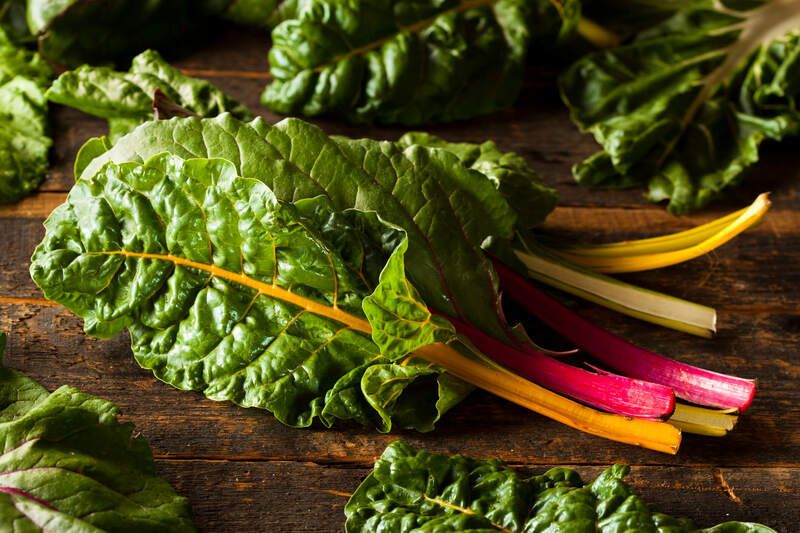 Antioxidants in Swiss chard, including polyphenols, beta-carotene, and vitamins C and E, help protect your cells from damage that can lead to chronic disease. Swiss chard is delicious wilted in a hot skillet, added to boiling pasta, or cooked in bean soups. Swiss chard does best when stored in the crisper drawer in a plastic bag with as little air inside as possible. Don’t wash until ready to use. The greens can stay in the refrigerator for up to five days, or much longer when blanched and frozen. The list of spring produce doesn’t stop there! Many other delicious plants grow well during the spring season. United States: This seasonal food guide lets you search by state, month, and type of produce. This site also lets you search for seasonal food and has recipes updated weekly. Canada: Here’s a guide to seasonal produce throughout Canada. United Kingdom: For seasonal food, recipe ideas, and weekly tips in the UK check out this resource. Australia: This guide lets you search for seasonal produce by each region. Springtime is often associated with spring cleaning and a sense of making all things new. And it’s a perfect time to refresh your diet with colorful, juicy, and nutritious spring vegetables and fruits. 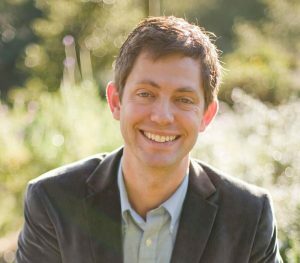 Pay attention to how the produce section changes seasonally, and choose a few new plants to try this spring! Which spring vegetables and spring fruits do you like the best? And why? What are some of your favorite ways to use spring produce?